Take more than 40 botanicals sourced from the finest locations across the globe. Mix together with expert craftsmanship, Italian passion and tireless dedication. There’s only one unique result. 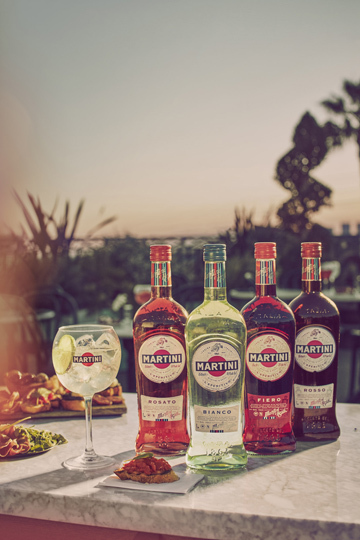 The award-winning, vibrant and bittersweet taste of the MARTINI range. ‘Where there’s a will there’s a way’. The motto of Alessandro Martini and Luigi Rossi, two uniquely talented and passionate men. In 1863, their newfound partnership led them to set out on a lifelong quest. One that would make an indelible stamp on Italian culture. And with their first vermouth, the original MARTINI®Rosso, they succeeded. With their distinct Italian quality and style, they brought their vision to the world. Today, their original and iconic blend is still loved by MARTINI drinkers everywhere. Generations of MARTINI masters have curated and composed the perfect vermouth. From our first love, the classic MARTINI®Rosso, to MARTINI®Rosato and MARTINI®Fiero, every bottle in our range captures 150 years of Italian passion. That’s why for many, MARTINI is the first and last word for vermouth. Celebrated the world over, a glass of Martini & Tonic perfectly complements the timeless tradition of apertivio. A treasured Italian ritual, and one the MARTINI expression is synonymous with. Created by the current MARTINI artisans, these are our authentic Vermouth di Torino. Both the Riserva Speciale Rubino and Riserva Speciale Ambrato use specially selected Italian wines, flawlessly blended with local and exotic botanicals. Designed to honour the traditional methods used by the first MARTINI master herbalists, they arouse the senses with taste, aroma, texture and colour. Modern yet quintessential, Riserva Speciale Bitter has been delicately crafted to deliver a unique richness and complexity. However, the Riserva Speciale Bitter reaches its true art in the Negroni. 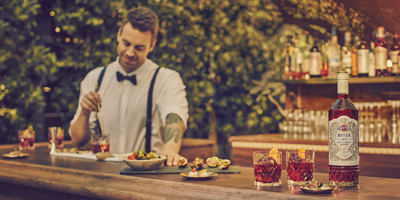 When paired with Riserva Speciale Rubino and Bombay Sapphire gin, it creates a uniquely complex yet balanced Negroni, unlike any other. The Martini Negroni. The sun-drenched hills of Piemont. With its unique climate, it is quite simply the perfect environment for the Bianco Moscato grape. 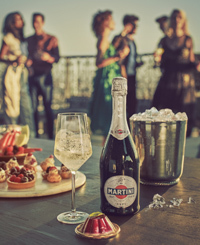 A grape that produces the timeless MARTINI®Asti, one of the world’s most famous wines. But there is so much more to savour from our range of sparkling wines. Generations of expert winemakers have assembled an exquisite choice, perfect for every taste and palette. Our home for over 150 years, CASA MARTINI is where the proud traditions of Martini & Rossi meet the company’s future ambitions. Take a tour and discover the world of Martini & Rossi - from the Wine History Museum to the Gallery Mondo Martini and tasting experience. There’s also the opportunity to take a premium Vermouth Masterclass or an inspiring Mixology Masterclass in the Bar Academy. 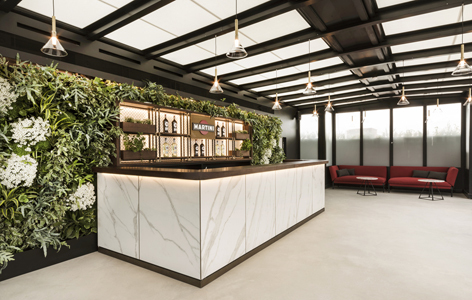 Terrazza Martini in Milan is an iconic venue and an Italian life style key player. In 2018 Terrazza Martini celebrates its extraordinary 60thAnniversary. A distinctive communication tool evolved during the time that today is enriched by the transformation of its calling in a new brand hospitality suite, reflecting the brand heritage and mission. Terrazza MARTINI today offers the best solutions for business meetings and is a way to live an authentic, full-brand experience, showing along its three floors (14° floor - Business Center, 15° floor - Terrazza MARTINI, 16° floor - Top Roof Bar), now connected by a stone and glass staircase, an impressive and inspiring history in a contemporary way. Let our Aperitivo Chic experience surprise you! For more information, including opening times, do not hesitate to contact us.